With ongoing staff training and development, give your colleagues the opportunity to give the best of themselves! When visiting a zoo, the encounter with the animals arouse the emotion and joy of the visitors. But, to turn it into a memorial experience, other factors are essential. Did the team that they met was passionate about their work? What have they heard about zoo’s messages? Did it make sense for them? Will they remember? And first and foremost, will they want to renew their visit? Objective: The aim of this course is to improve the global visitor engagement strategy of your institution, along with the development of personal communication skills and confidence of participants. This course includes group and individual exercises, covering all aspects of personal communication, including listening, speaking in front of groups, dealing with conflict, non-verbal communication. By exploring the use of verbal and non-verbal communication skills, we will learn how to encourage positive action from visitors. This workshop contains both practical and theory activities; including discussions, group work, individual work. Important note: this training course is available only in French. 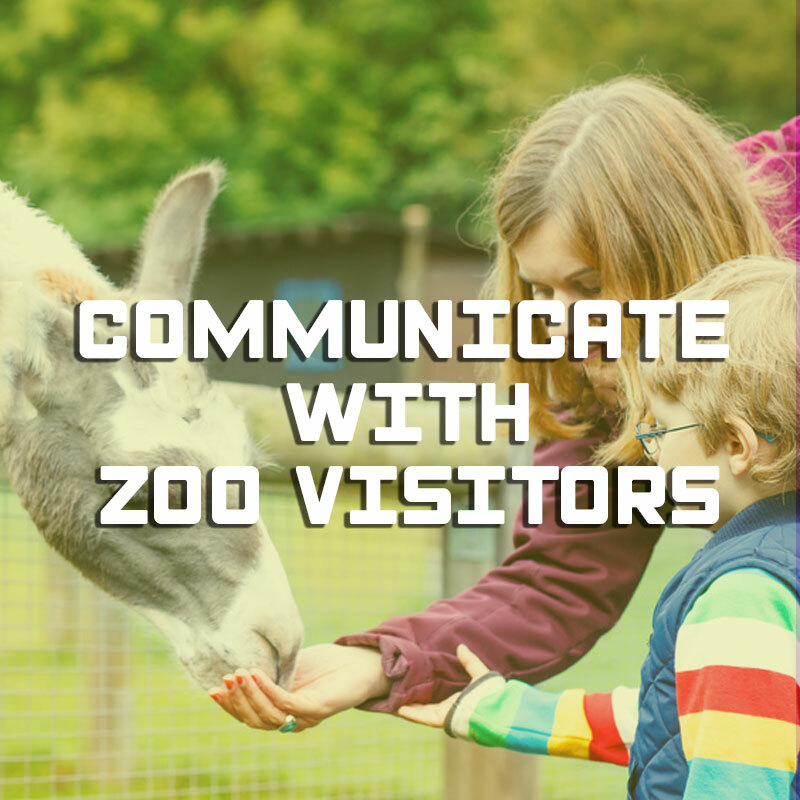 Aimed at: Any zoo and aquarium staff who must communicate effectively with visitors, including keepers, educational team, marketing staff.